Refractive Cataract Toolset® now marketed in Europe following U.S. launch. TrueVision® 3D Surgical, the world leader in 3D visualization and guidance for microsurgery, announced today it received CE Mark for the Refractive Cataract Toolset®. 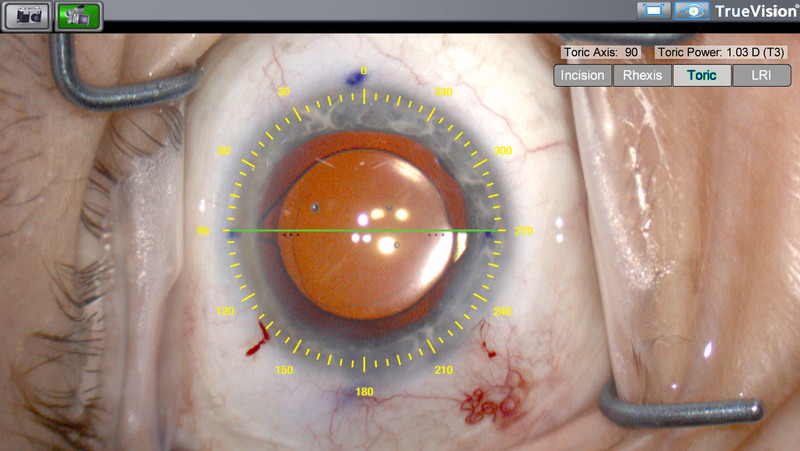 The Refractive Cataract Toolset is computer-guided 3D software for astigmatic correction and intraocular lens (IOL) alignment during cataract surgery. The company had received its 510(k) clearance for the product from the U.S. Food and Drug Administration (FDA) to market the TrueVision® 3D Visualization and Guidance System in late 2011. The RC Toolset® software combines 3D visualization, individual patient parameters, and computer-based guidance applications during surgery in real-time. It delivers precise templates for corneal incisions, toric IOL alignment, multifocal IOL positioning, and limbal relaxing incision (LRI) alignment tailored to individual patient pre-operative measurements. Pre-operative and post-operative image capture is also enabled using the TrueVision® platform in conjunction with slit lamp biomicroscopes in the clinical setting for surgical planning. The TrueVision® 3D Visualization and Guidance System is a stereoscopic 3D high-definition visualization system that displays the surgical field of view in real-time on a 3D flat-panel display in the operating room. This allows the surgeon to operate in a “heads up” manner by looking at a large screen rather than through the traditional microscope oculars, providing optimal ergonomics and an immersive visualization experience for the surgeon. The system is also used to record 3D surgical video for educational purposes and presenting on-demand or streaming 3D surgical video content at medical meetings. 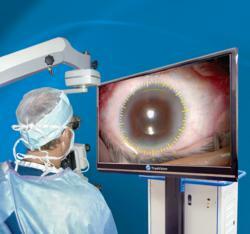 TrueVision® 3D Surgical is the leader in digital 3D visualization and guidance for microsurgery. Based in Santa Barbara, California, TrueVision® has developed and patented an intelligent, real-time, 3D surgical visualization and computer-aided guidance platform. The company is focused on developing a suite of 3D guidance applications for microsurgery to improve surgical efficiencies and patient outcomes. The first application is the TrueVision Refractive Cataract Toolset®. Visit http://www.truevisionsys.com for more information.